I remember my first phone. It was 1999, I was 17 and it was the Nokia 3210. It was pretty sweet at the time. It had a heck of a battery life, an excellent signal, and the original phone game…Snake. My friends and I competed constantly to see who could get the highest score. It was really the Pong of mobile gaming; the game that got it all started. Fast forward to 2016, and we have Slither.io. If these were Terminator models, Snake would be the T600 while Slither.io would be the T3000. All movie references aside, it may not be from the same makers, but the inspiration is there and it’s a hit. Slither.io has the same feel as Agar.io in respect to the end goal. Playing against others from around the world to grow the biggest snake on the board. Well, Agar.io uses circles, but you get the gist. You accomplish this by collecting dots from the play area. Now this is where Slither.io and Agar.io part ways. In Slither.io, the size of your snake doesn’t matter when killing your opponents. Just trap your opponent by making them run into you and they die. Then you can enjoy feeding on their shiny carcass, which is the other way you can grow your snake. But if you hit them, then you will turn into shiny dots on which the rest of the Slither.io world will feed. The dots you consume are all worth various points and grow your snake to those appropriate amount of points. The bigger the dots, the higher the points. The higher the points, the longer your snake will become. The longer your snake, the higher on the leader board you are. You have three different control modes to choose from that include Joystick, Arrow, and Classic. Joystick mode gives you a virtual joystick to control your snake in the bottom left corner of the screen. 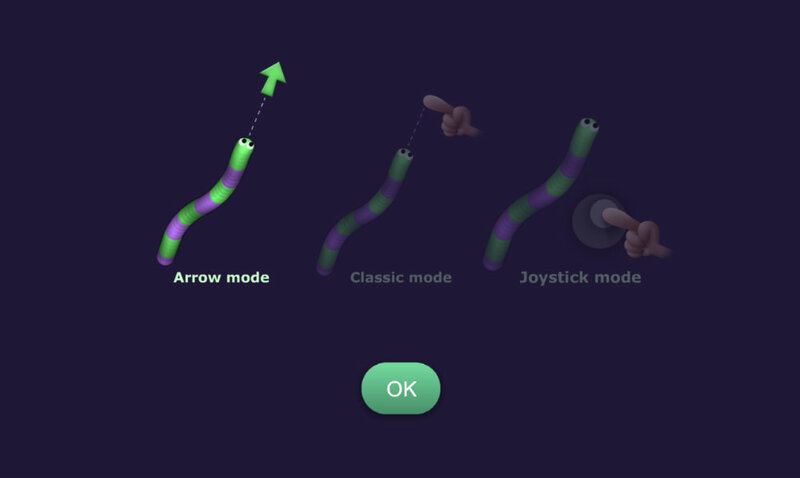 The Arrow mode lets you control your snake by sliding your finger in the direction you want to go in and having it follow you like an eager puppy looking to play. Both Joystick and Arrow modes have a boost button that allows you to use up the points you have gained to temporarily go faster. The length of the boost depends on how many points you have. The longer you use it, the more points you lose. The end result being your snake also gets shorter. If you use all your points, you will be at zero and your snake will be back to starting size, so use the boost wisely. In classic mode, you must double tap boost and you control your snake by tapping the screen in the direction you want your snake to go in. That’s it for classic, short and sweet. 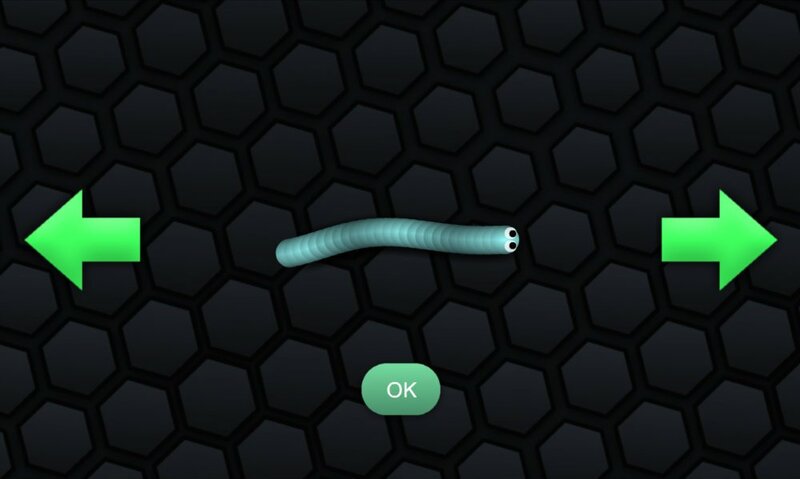 Slither.io gives you two types of gameplay, online and versus the A.I. Both are self-explanatory so no real need to dive into that too much. However, there is one thing I noticed on the play online tab. There is a “WiFi recommended” label on it, which leads me to believe it uses a lot of data in that mode. So be aware of that when not on WiFi. When first playing this game, it did give me the warm fuzzies. I have a special place in my heart for Snake if you couldn’t tell from the intro. I have seen a few copy cats of the original, and you would think that would be good enough. Not so much. This felt like someone cared enough to take a classic and bring it back to life in a new way. Now I have no way of knowing if that was the inspiration, but in my head, I’m going to think it was. In any case, this is a fun little game that can keep you occupied for a while. The graphics are done well, and the animations are smooth. I’m a little torn when it comes to the financial portion of this game. On the one hand, they give you tons of skins to change the look of your snake, and that’s a good thing. It would be easy to charge $.99 for skin packs and people would pay, but as far as I can tell they don’t. On the other hand, the ads that pop up after gameplay are extremely annoying as it takes a bit to go away. I know they have to make money, but the ads could be integrated better. If you find the adds a bit too annoying, you can just pay to have them removed, but that’s going to cost you $3.99, which I think is a bit pricey. At the end of the day, people love to play games and a little bit of nostalgia helps. If you’re young enough, then Snake probably has no real meaning to you, but you can still appreciate this game. If you are old enough to remember the classic Snake, then you will enjoy this even more. 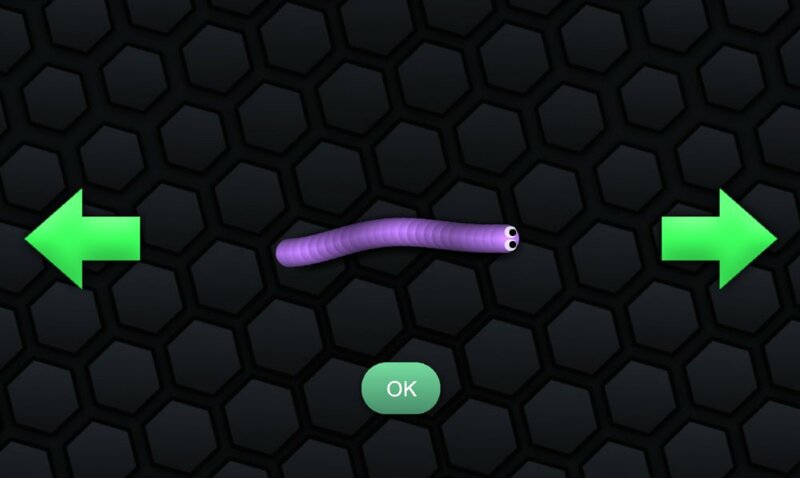 It should also be noted that this game can also be played on your computer as well at Slither.io. Slither.io is a fun game that makes some of us a little nostalgic, which is good for developers. It's great for quick gameplay situations. Removing the ads is a bit on the high side, but otherwise a great game.